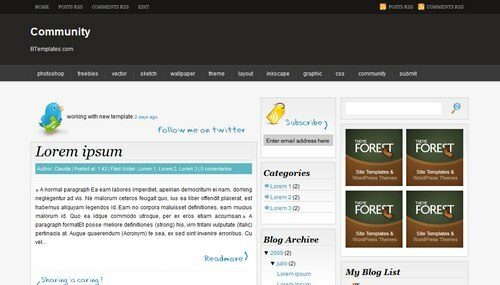 Another wicked layout from WPnow themes, the use of shades and colours used properly combined with great content of your blog can really make you popular, this theme looks simple but their; like so many great blog themes are a few surprises you will find with cleaver mouseovers and dropdown boxes. 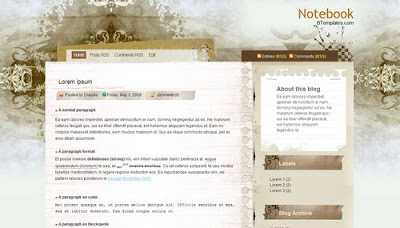 This theme is wordpress 2.8 ready so grab it now! A list of unique features that are included with Triumph. 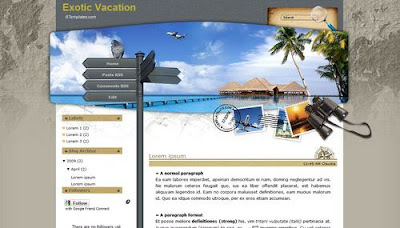 MagznetNetwork converted this beautiful template to Wordpress. DelliStore template, designed by the design agency Dellustrations and released especially for Smashing Magazine and its readers, is a full px-based, cross-browser-compliant (X)HTML/CSS-template (IE 6, IE 7, Firefox, Safari, Google Chrome). GPL (of course). This wordpress theme is completely free and may be used for any private or commercial project without any restrictions whatsoever. You may modify this template for a e-commerce web site, restaurant, pool and spa web-sites and other caters, ventures and facilities. Awesome Magazine Template. Full of most wanted feature ! Available on Wordpress and Blogspot. 3. Click on "Choose" and upload your xml file. Note : Before Upload your new template, Don't forget to backup your old template and your widgets.